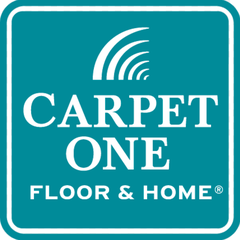 Located in Newhall, Brent’s Carpet One strives to get the lowest prices from the best flooring manufacturers to provide the flooring options for the Santa Clarita Valley. They truly care about their customers, which is why they make it a priority to put in 100% into satisfying clients’ needs. Different venues are provided for customers to go through when it comes to prices in order to ensure the best prices. They allow customers to know their full buying power before shopping through a secure online credit application for the Carpet One credit card. Brent’s Carpet One will provide one of their trained professionals to personally evaluate a customer’s home by measuring the flooring. In addition, the trained professional will walk customers through all their options in a personal manner. This ensures that customers are fully informed the process and costs of the job with little to no questions. Customers can also discuss what they prefer when it comes to logistics. The Healthier Living Carpet Installation System is an option available from Brent’s Carpet One. As one of the most environmentally friendly programs offered by a carpet installer in the Santa Clarita Valley, Brent’s Carpet One ensures that a customer’s investment in this program is worth every cost. The Healthier Living Carpet Installation System minimizes allergens, dust, mold, and mildew to offers a healthier environment for the care and welfare of your family. This is available exclusively at Brent’s Carpet One. Customers will never be disappointed with the floor work done by Brent’s Carpet One. Their goal is to satisfy the buyer first and then make the sales. In the case that a customer is not completely satisfied with the carpet work, Brent’s Carpet One will refer those customers to The Beautiful Guarantee, where the unsatisfactory work will be replaced at no cost. Brent’s Carpet One is a completely trusted company that doesn’t believe in unnecessary tricks that other companies may use to gain extra money. The easy-to-understand warranty system gives customers a level of protection that is tailored specifically to each customer. Brent’s Carpet One is continually committing to making the world a better place one carpet at a time. In addition, the company has supported many charities and organizations. They have been avid supporter of The Breast Cancer Research Foundation for over 20 years. It is because of support to the community that inspires Brent’s Carpet One to proudly serve the Santa Clarita Valley.